Qualcomm's chips have been finding their way into more and more handsets, as they remain alone with a Cortex-A15 class core in the fight. But the dual-core 28nm, 1.5 GHz MSM8960 isn't the only horse in their stables. So at Uplinq, Qualcomm's developer conference, this year, Raj Talluri took the stage to introduce us to their latest addition, the quad-core APQ8064. 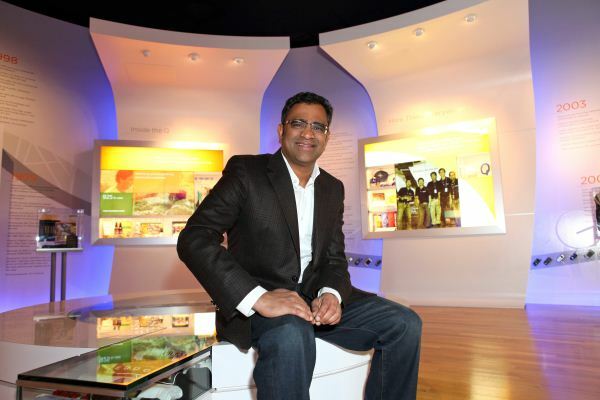 Raj Talluri joined Qualcomm just 3 years ago, and is responsible for the teams that develop the Snapdragon family of chipsets. Prior to joining Qualcomm, Raj was with Texas Instruments and was closely involved with the development of the OMAP 3 and OMAP 4 chipsets that were in some of the most popular handsets of the last two years. At Uplinq, Raj had one key role: evangelize the future. During the keynote, Raj got to demo an APQ8064-powered development tablet. To review, APQ products forego basebands altogether, while MSM products include basebands alongside application processors and other necessary components. The APQ8064 slots into the S4 Pro family of Qualcomm’s marketing and features four Krait cores running at up to 1.5 GHz when all four cores are taxed, or up to 1.7 GHz when only one core is active. Adreno 320 makes its premier with this SoC, later to be followed by a S4 Pro version of the MSM8960 featuring the same GPU. In the demo, Raj is showing off a fortress scene from Qualcomm’s in-house game development group. You can see in the video how the demo features cloth rendering, water, fire, multiple light sources and particle effects. The demo does more than just show off the GPU, it serves to demonstrate how developing a game that leverages all four cores can yield visible improvements in both image quality and performance. We haven’t had as much time to explore the architecture of the Adreno 3xx family as we did with Adreno 2xx, but there’s an expectation that while it will have vast improvements over its predecessor, it may have trouble keeping up with NVIDIA and Imagination’s wares next year. One indicator is the DirectX feature level that has so far been revealed. Imagination’s Rogue GPU will premier at 10_0 but be offered as high as 11_1, bringing them to feature parity with desktop GPUs currently on the market. Adreno 3xx is so far only being announced to run at 9_3, leaving it in the Geforce 200 space, and at feature parity with NVIDIA’s Kal-El Geforce GPU. If serious performance gains are realized with the Adreno 3xx, then it may be able to fend off competition from Kal-El/+, but any slips and NVIDIA may have a GPU advantage that could be difficult to overcome. 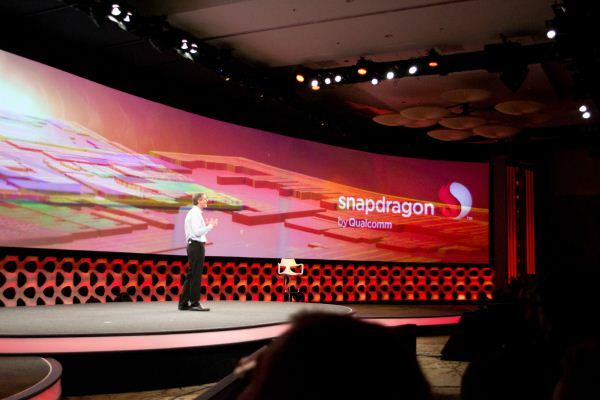 With no other major updates expected in the mobile SoC space until 2013, Qualcomm will have a timing lead over the competition, but we won’t know whether it will be enough until we see shipping products of each. There’s more happening in this space, though, than just GPU advances. Qualcomm’s recent advantage has in part been due to integration of radios and other components onto the SoC. There's still additional advantage to pursue in integratign components, though. Raj was non-committal on what we might see integrated into a potential S5 in the future. We can glean some insight from the S4 Prime. That line, which includes the MPQ8064, integrates some A/V components to accelerate video decoding and improve picture quality. 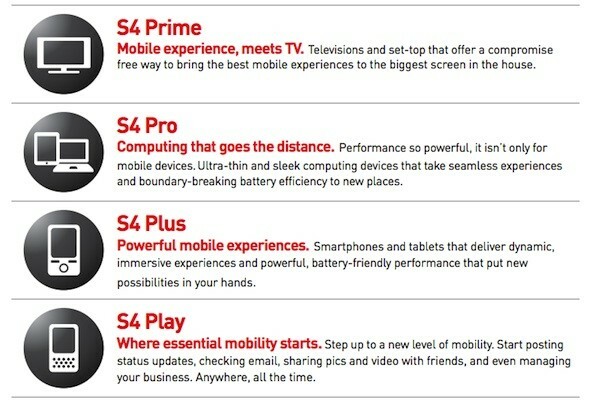 Chips in the S4 Prime line are designed for set-top boxes and smart TVs; think ‘prime time.’ The IP used for the A/V components in S4 Prime will be 3rd party, however it’s always possible that Qualcomm will put their capable DSP and silicon engineers to work on their own proprietary A/V blocks. Moving to integrate more video components could be a useful gamble, as more and more our mobile devices also serve as our video sources. Another wise gamble would be to integrate wireless display technology, and even digital TV tuners, though no one would go further on what might be integrated next. Aggressive integration paired with an aggressive transition to 28nm has lead to a product that is competitive in performance with other current offerings, while also offering the fastest air interfaces available, in a very power efficient package. There have been difficulties with the transition to 28nm, though. During a Q&A after the keynote, Dr. Jacobs fielded questions about a possible yield issue that has affected supplies of Snapdragon S4 products. He insisted that their yields were adequate, but that TSMC simply did not have enough 28nm capacity to meet demand. He also revealed that Qualcomm had invested money in another fab partner to bring them on-line at 28nm, but products from that fab wouldn’t be rolling out till Q4 at the earliest. Recent reports have suggested that the partner mentioned is UMC, a Taiwanese foundry that has actually been around for quite sometime. Not as well known as TSMC or GlobalFoundries, UMC is expecting to reach 700,000+ wafers per quarter of 28nm products within the next few years. That's far short of TSMC’s estimates of over 1 million wafers by the end of this year. But with a little investment UMC’s timeline could be adjusted. Another rumor that has cropped up is that Samsung has joined in as a partner. Silicon vendors aren’t ever too forthcoming with the current state of products in development, less so when there’s an issue. Samsung’s next generation Exynos processors have been slow in trickling out since the Exynos 4210 took the world by storm last year. The quad core variant, the 4412, is shipping internationally in the Galaxy S III, and is by all accounts a scorcher. Being Cortex-A9 based, it retains the IPC deficit against Qualcomm’s Krait cores. With no clear timeline of when they might have Cortex-A15 products to produce, it’s possible that Samsung Semiconductor could have some spare fab capacity. As Dr. Jacobs touched on when asked whether Qualcomm would ever consider becoming a fabricator, the hardest part about having fab capacity is making sure as much of it is in use at a time. If Samsung Semiconductor found itself with spare capacity, an eager customer (Qualcomm), and a handset manufacturer (Samsung Mobile) interested in using a 28nm product with limited availability, it could be reasoned that they’d partner with Qualcomm to deliver SoCs for the US Galaxy S IIIs. Regardless, for all this talk of limited availability of S4s, you can’t swing a stick in the mobile landscape right now without hitting a Snapdragon S4 based handset. We'll be taking a look at the broader SoC space in the next few weeks, so stay tuned. The short sheet is this, though: Cortex-A15 class or not, the competition isn't waiting to fight back. I honestly have no problem with any of QCT's product numbers, it's pretty simple when you get the hang of it. I have no problem following it, so long as you steer clear of the namespace collisions that are MSM8660A and MSM8260A (both dual core krait, new baseband). Now, let's not get started on Nvidia, T30, T30L, T33, wat?! I disagree on how easy the part numbers are to follow. I worked at Qualcomm for a year, and it probably took me six months to figure out the part numbers. There weren't really any internal references to clarify things either, either-- the best reference I found was the Wikipedia article on Snapdragon. QSD was only used for a short period of time-- everything is now MSM again. You have any idea how much research has gone into the crossover between numbers, marketing, and psychology? Intel in particular know their buyers and numbers, you think they choose their processor numbers from a hat or by feeling? They know exactly why their products are numbered what they are... and how much to charge for each of them. About the competition the main thing is still the CPU and if they have quad Krait they might just have to compete with dual cores A15 and in late 2013 be the first to go 20nm. There is also the timing,this way they get deals for phones shown at CES and MWC that won't get EOLed before the end of 2013. About integration ,they should integrate (on die or in package) as much as they can and not only compute units ,smaller PCB and lower volume are something everybody is looking for. I am curious about very specialized cores (like in GreenDroid http://greendroid.ucsd.edu/ ) but i doubt we'll see that kind of thing soon. On the fabs issue, there was the rumour that they might invest in UMC and maybe they actually do it but i doubt they'll use Samsung.Most likely they'll go for both UMC and GloFo. Specializing the die and package to too fine a degree is a bit risky. It takes time and resources to alter the fab for an utterly bespoke chip, and so you need a customer willing to pay more and commit to however many chips your going to make. We've seen it done, most notably with Apple sourcing Samsung SoC's for the iPhone, but also with the repackaged CPU of the original MBA. But those were package redesigns, integrating additional phone components on die, or even on package could prove more difficult. I'm sure I'm missing some but all of those are risky to integrate. Memory and NAND lock the OEM into whatever quantity of each they ordered. So, if customers want more of your 16GB product, but you have tons of your 8GB product, then your stuck holding the bag. Power management seems a real possibility, as do sensors, but they're also value add components that often get left off of lower end devices, so you might only integrate them on your higher end chips. Power amps for international devices might be something they could consider, but in the US, with every network using a different set of frequencies, it wouldn't be feasible. New radio and interface components is a very real possibility; if a wireless display standard wins out that could be integrated, if an application for USB3 or TB on phones is found, that could be added.